In the Old Testament, God spoke to his people through prophets—men specially called to speak God’s Word to his people. The New Testament makes it clear that such prophets, whether chastising or comforting, testified to Israel’s final redemption and ultimate hope: Jesus the Messiah. 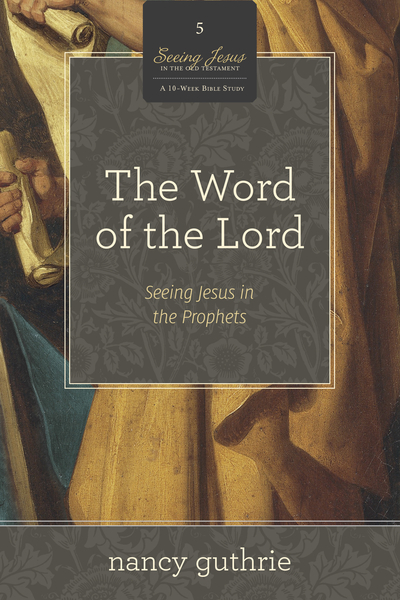 Gain a fresh perspective on the message of the Old Testament prophets, a broader understanding of Jesus as the fulfillment of Scripture, and much more when you join with Nancy on this incredible journey to see Jesus in the Old Testament! *A leader’s guide is available as a free download at SeeingJesusInTheOldTestament.com and a supplemental DVD of Nancy’s teaching is also available for purchase.